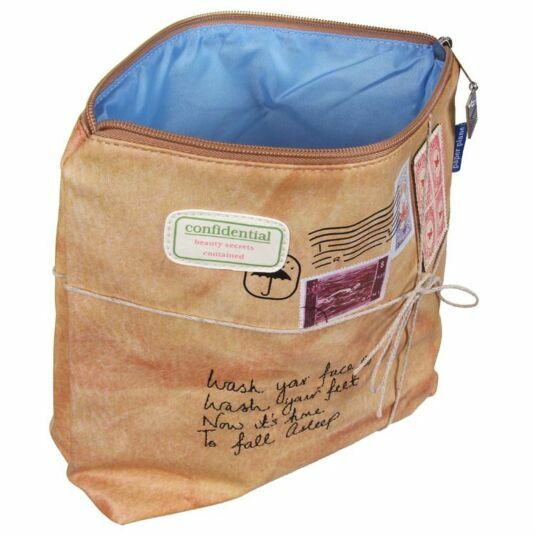 The most stylish and useful travel companion, for long countryside weekend retreats or a sun soaked week in the Mediterranean, this Disaster Designs Paper Plane Wash Bag packages functionality with flurries of stylish accessorising . 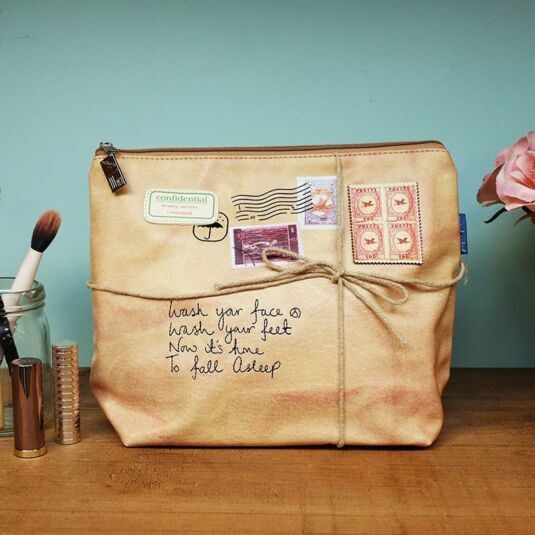 This Wash Bag is designed around the ‘travelling postal’ theme of the Paper Planes range, combining a rustic brown envelope backdrop, crumpled and sun stained, decorated with vintage textured stamps, contained within a real piece of parcel string. The faux leather material of the bag gives the product a more upmarket and stylish feel, with a contrasting light sea blue lining to the interior. 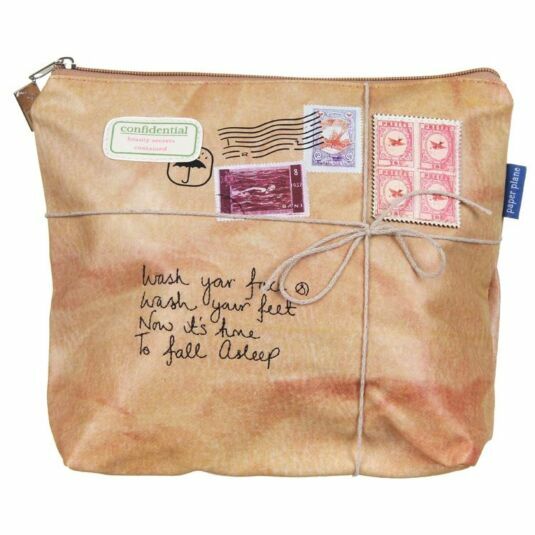 The wash bag size is more than large enough to accomodate all essentials, with the possibility of even a few extra bottles of sun cream! 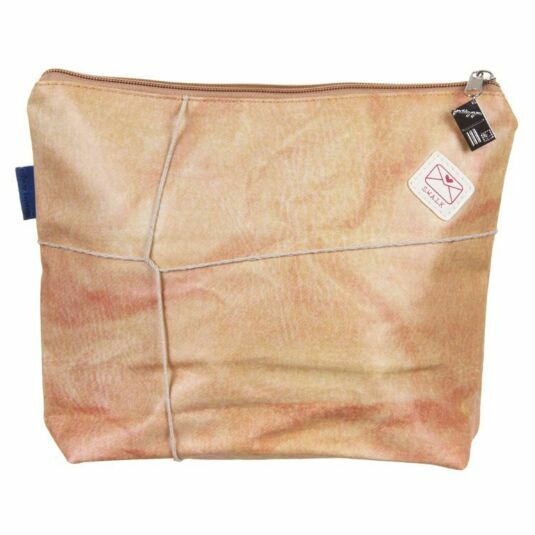 Finished delicately with a small silver envelop token attached to the zip, this Paper Planes Wash Bag would make the ideal travel companion for teens, mums, best friends or grandmothers planning an exciting trip away.